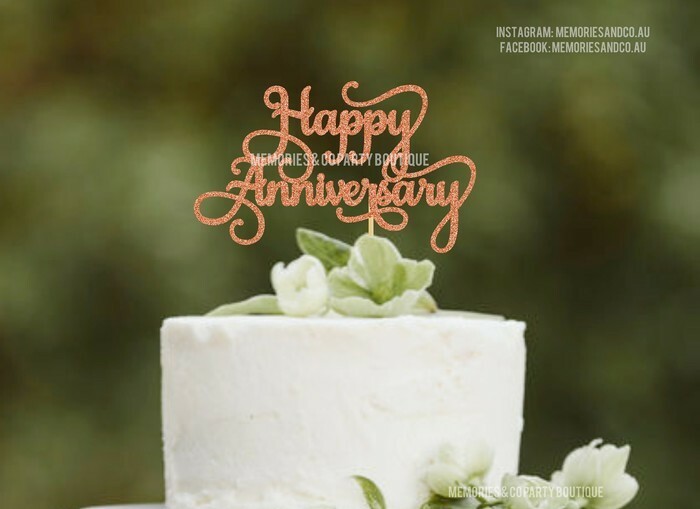 This listing is for a "Happy Anniversary" cake topper (as pictured). Would you like a different colour or size? Please send me a message for a quote. Kindly note it is your responsibility to make sure you order with enough time for your event and take into consideration postal delays may happen and this is beyond our control. Without prior contact, the estimated dispatch by date for your order is the one indicated above. If you cancel your order before dispatch, a fee of $0.40 applies (payment processor non-refundable fee).